This survey was created by Jamie from The Perpetual Page Turner. I liked all the questions she provided and I think it’s a great way to look at the reading as a whole. Unfortunately, I didn’t get much reading done–at least, that I kept track of–until after college so there might be some repeated answers but I’ll try to keep it interesting! 1. Best Book Read in 2017? The “and they did” part is a little questionable but I did recommend it a lot! 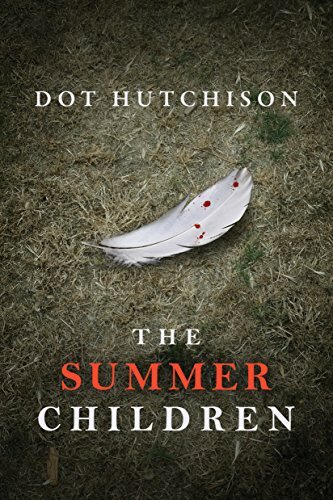 The Collector’s Trilogy by Dot Hutchison with The Butterfly Garden being the first and The Roses of May being the second. The series ender will not be out until May but I am so excited for it! Taylor Jenkins Reid was new to me and I really want to read more of her books. I don’t usually read speculative fiction but River of Teeth by Sarah Gailey was a treat! Final Girls by Riley Sager kept me turning until the very end! I don’t usually reread until it has been a while since I read originally but The Language of Thorns was short and had so much to offer. I was so excited I flew through it so I think I would take my time the next time around. Sorina from Daughter of the Burning City by Amanda Foody was very memorable. Maggie Stiefvater for the win on this one! All The Crooked Saints. The House of the Spirits by Isabel Allende really made me think. I was reading at a time when I really needed it I think. 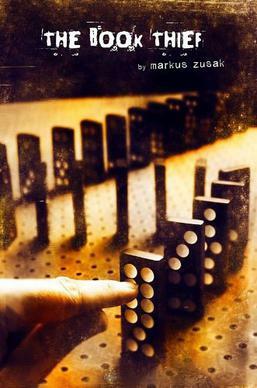 I haven’t finished this but the only one that qualifies is The Book Thief by Markus Zusak. You Don’t Know My Name by Kristen Orlando shocked me because I expected it to be a lot less complex. I didn’t read any super swoon worthy books this year. I think the relationship between Beatriz, Daniel, and Joaquin was the best non-romantic relationship. It helped that I read this on the beach! I’m not finished with The Book Thief but when I do, I feel like it will also fit into this category. And I Darken crushed my soul in a bad way. A Million Junes by Emily Henry had elements that I’d never heard of before. I think The Child by Fiona Barton made me the most mad. It was just so much less than it could be. I really enjoy the blog The Orangutan Librarian. Great and thoughtful posts! I liked my review of Daughter of the Burning City and my movie review of Jungle. I loved writing the post Books That Made Me Laugh Out Loud. Before I started blogging, I went to the West Virginia Book Festival in Charleston, WV and saw Maggie Stiefvater. She signed my Raven King book. Starting my blog! It has been a pleasure getting the hang of blogging! The most challenging part of my blogging and reading life this year has been balancing all of my creative pursuits. I usually only have a specific amount of time for creative things and I have had to choose between blog writing, story writing, and reading. The most popular post on my blog has remained My First Blog Post. My first and only discussion post thus far, Reading Life Then vs. Now. I’ve been following blogs for a while but this year I discovered Booktube! I recommended a lot of my favorites in my post My Favorite YouTubers. Kind of? I participated in NaNoWriMo and I won for me! My original post about my WIP can be found here. 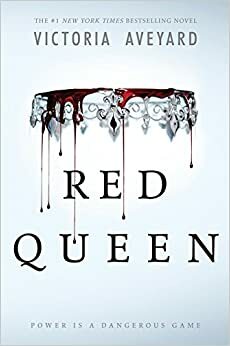 Currently reading Red Queen by Victoria Aveyard. I would like to do more discussion posts, take more/better bookish pictures for instagram and the blog, and also create even more original and interesting content. I have some great new features that I want to try out. I also want to pick up a different variety of books, namely titles that motivate creative pursuits. I also want to read books that are about faith and nonfiction books about things I don’t know a lot about. Basically I want to read a lot of books that will make me a better person! Let’s chat! What are you planning on doing differently this next year? Any reading resolutions you plan on completely knocking out? I would love to know! Thank you so much for reading this blog! If you’ve ever looked/commented/recommended/liked/ read or even scanned this site, you mean so much to me! I hope your 2017 was amazing but your 2018 is even better! Wow thank you so much for the lovely shoutout! Really looking forward to reading all the crooked saints 🙂 Well done on starting your blog this year and even bigger well done on winning Nano- that’s so impressive!! I read Meddling Kids as well (I actually reviewed it on my blog / podcast as well) – and I really like it! The more I read of others’ reviews, though, I see that I may be the minority there. Oh I’m glad that you liked it! I actually got it on vacation and was so excited about it. It just turned out it wasn’t for me *sigh* but it makes me happy that someone liked it. With that cover, it needs to have fans. I enjoyed reading your 2017 rundown! Congratuations on an accomplished year! Thank you Rachel! It means a lot!